UAE-based Emirates Airline saw a significant uptake in the number of vegan meals being requested on its flights throughout the month of January. In line with Veganuary – a pledge by a record 250,000 people in 193 countries to follow a plant-based diet for the month-long campaign, the airline reported a 40 percent increase in vegan meal requests. This equates to the airline serving a whopping 20,000 vegan in-flight meals in January alone – with still a few days of the month still to go when this data was recorded. The airline boasts over 170 plant-based recipes, so there is no shortage of choice for vegan travelers, with each recipe carefully constructed by Emirates’ team of nutritionists and chefs. Passengers can choose from options including mushroom ravioli, vegetable tagine and stir-fried tofu, among others. Dessert is also vegan-friendly, with chocolate cake, key lime parfait and chia seed puddings all featuring on the menus. In addition, the airline has served an impressive 18,000 kilograms of vegan cheese with its plant-based meals since April last year. 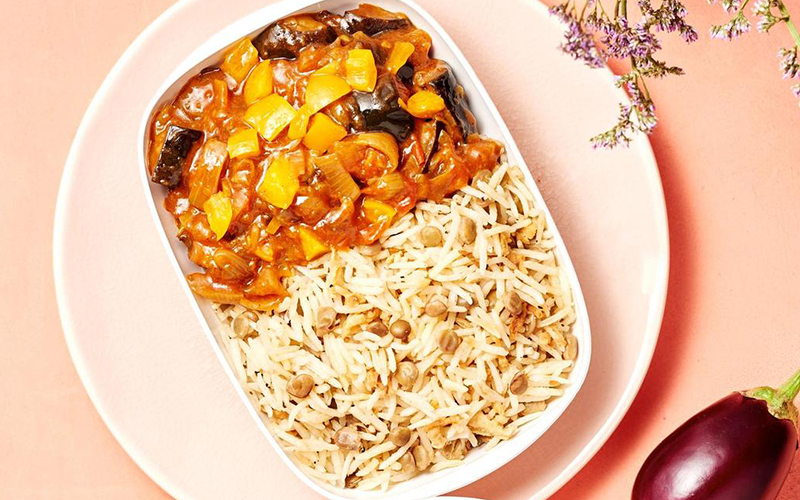 It seems that other airlines are now beginning to take notice of the increasing demand for vegan options, as one of the largest UK-based airlines, Jet2.com, announced its first ever vegan menu last week. Details: To discover more vegan-friendly restaurants in the UAE, click here.